How do you sustain a business when your country's economy is collapsing all around you? 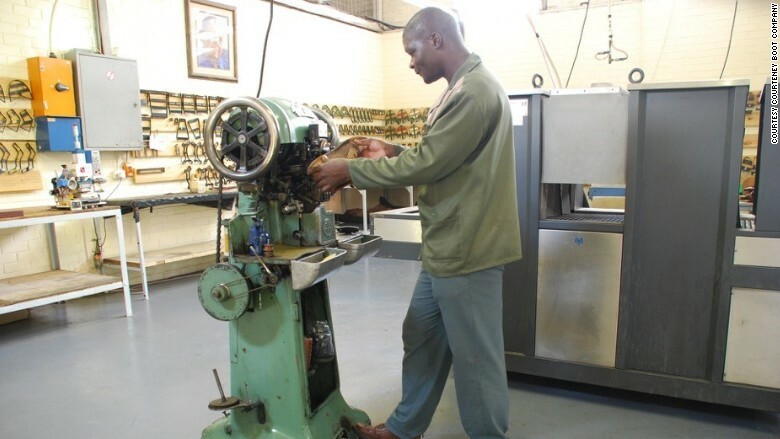 For one shoe company in Zimbabwe, turning to exports was the answer. 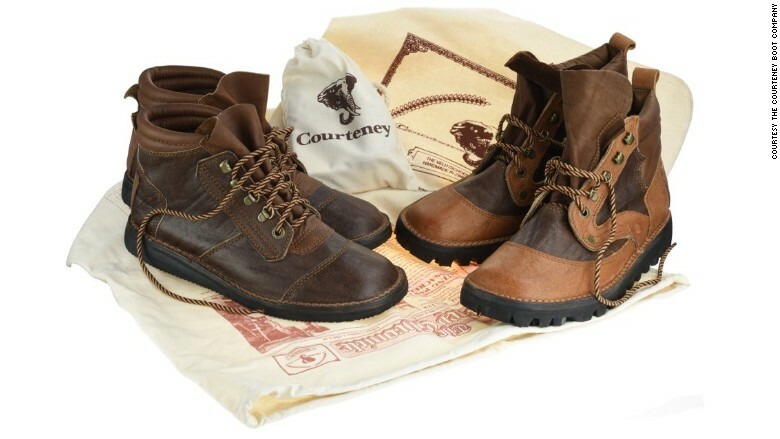 The Courteney Boot Company is best known for its safari boots, expertly handcrafted from the skins of game animals such as cape buffalo, ostrich, hippo and Nile crocodile. Half of Courteney's production was sold locally until the early 2000s, when Zimbabwe's economy shrank significantly -- resulting in widespread unemployment and poverty. Commercial farmers could no longer afford to buy Courteney's products, said Gale Rice, who cofounded the business in 1992 with her late husband John. Tourism also dried up, wiping out a big market for the boots. 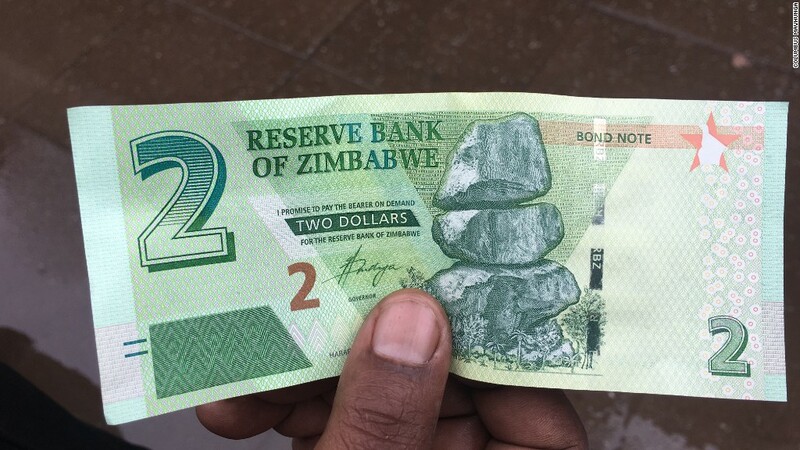 Economic instability, hyperinflation and cash shortages have all struck Zimbabwe over the last decade. To survive the storm, Courteney changed its sales focus and now 99% of its footwear leaves the country. From the beginning Courteney had established a strong American and European following. Leading gun and rifle manufacturer in Birmingham, England -- Westley Richards -- is one stockist, and Courtney is also distributed in southern Africa, Australia, Germany, Italy and elsewhere in Europe. "With very great effort we kept the workshop producing right throughout the last collapse," said Rice. The boots sell for anywhere between $299 and $999 depending on the style and the gameksin used. The Courteney Boot Company, which handcrafts boots out of natural gameskins, was founded in 1992. To maintain its high standards, her husband John, who had been a passionate shoemaker from the age of 15, stipulated from the beginning that the company would spend nine working days manufacturing a shoe. He also insisted on having no more than 30 pairs of shoes in production each day. "Courteney was the biggest part of our marriage and working together was deeply fulfilling," Rice said. But while it was fulfilling, it was also challenging. Rice recalled: "John once pulled out all our Christmas cards to each other and said to me, 'Do you know that in every single card you've described the past year as "difficult"?' "
The boots are manufactured by hand in Bulawayo, Zimbabwe. All of Courteney's boots are made to order, which Rice said is critical so it doesn't have expensive, unsold merchandise lying around. But while Courteney's ethos has always been about local craftsmanship, there was a period when it was forced to outsource manufacturing to South Africa. Rice says that in 2008 -- when the country experienced one of the worst hyperinflation cases in history -- planes were backed up at the airport and Courteney wasn't able to move its boots out of Zimbabwe. The solution was to temporarily move manufacturing to South Africa. These days the boots are made back in Zimbabwe, which still creates problems. For example, Rice notes that Courteney's profits have been down recently, hit by an increase in production costs because of rising prices for electricity, labor and raw materials. "There is little consistency in pricing in the country at present," she said. But Courteney has survived worse, by adapting to circumstances and by maintaining its traditional values of craftsmanship and a word-of-mouth reputation. "We're old-fashioned," said Rice, "and happy to be so."